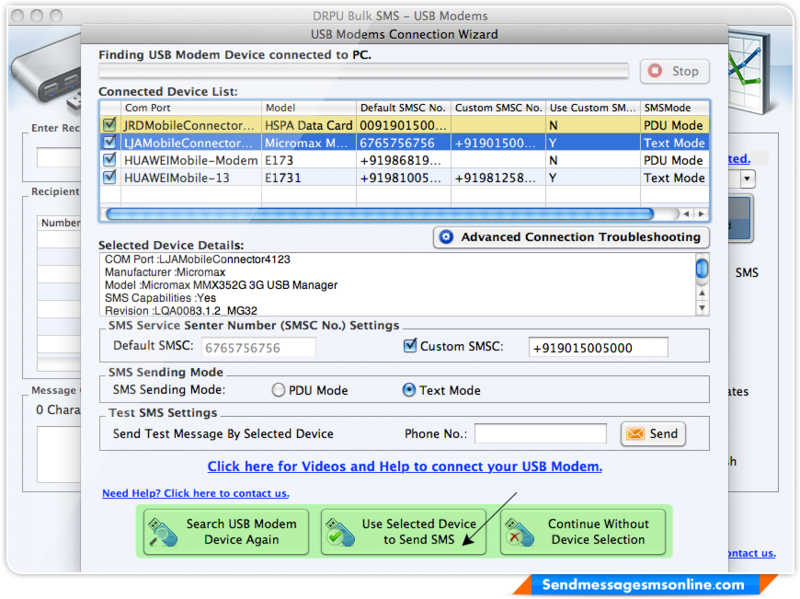 Wizard shows finding USB Modem Device Connected to PC. Select device from connected device list then press “Use Selected Device to Send SMS” button. 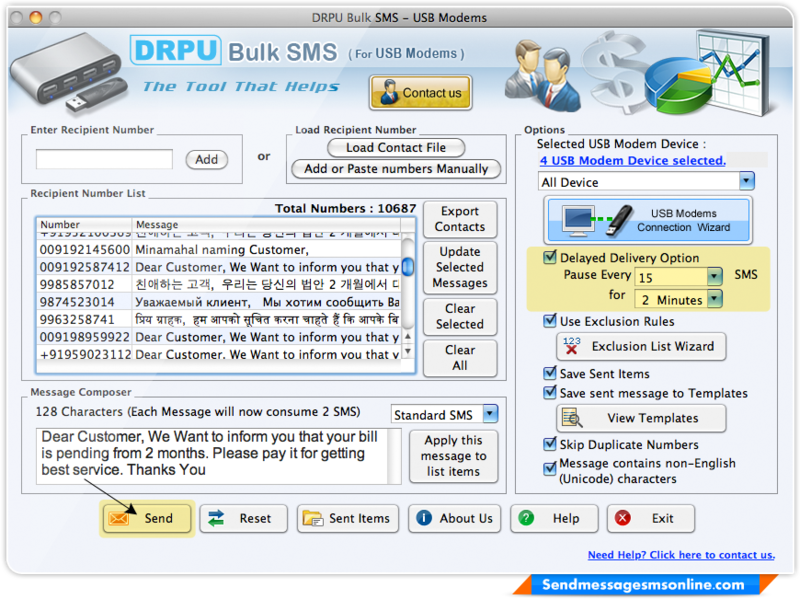 To load recipient number click on “Load Contact File” or “Add or Paste numbers manually” button and choose different options like skip duplicate numbers, save sent items, Delayed delivery option etc. then click on “Send” button. 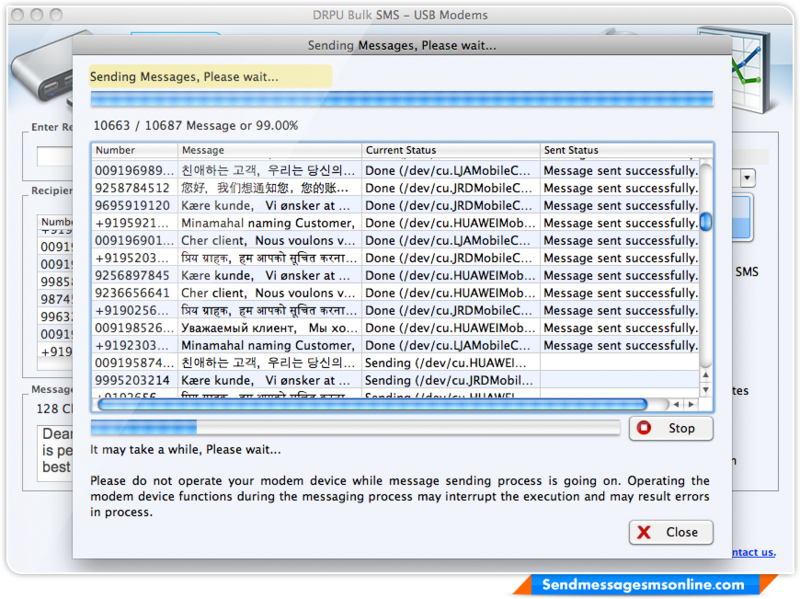 Message sending process is running as shown in above screenshot. 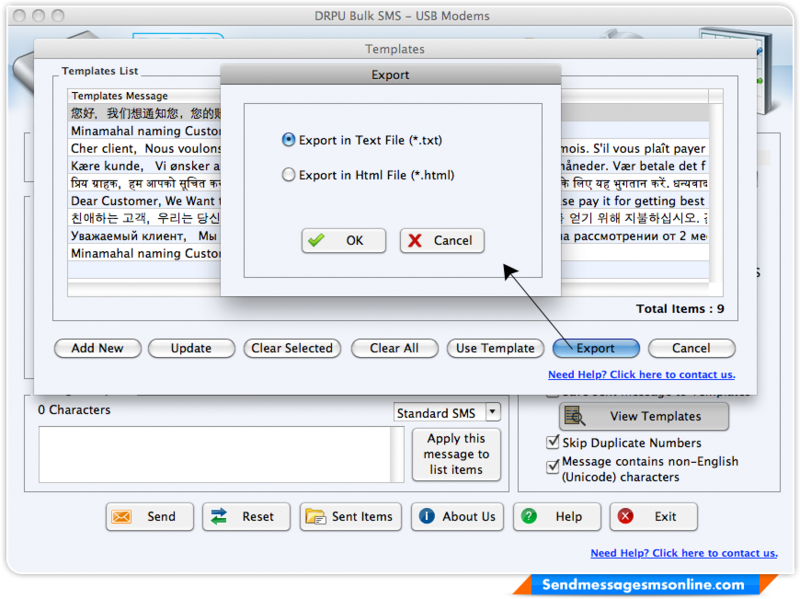 Click on “Export” button to export template messages in Text File (.txt) or HTML File (.html) format.